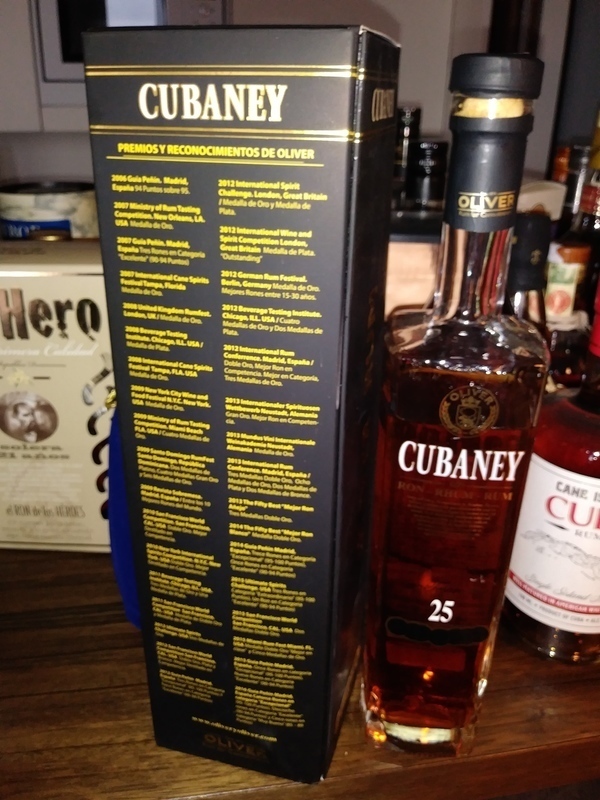 Have you found an online vendor selling Cubaney Gran Reserva 25-Year? 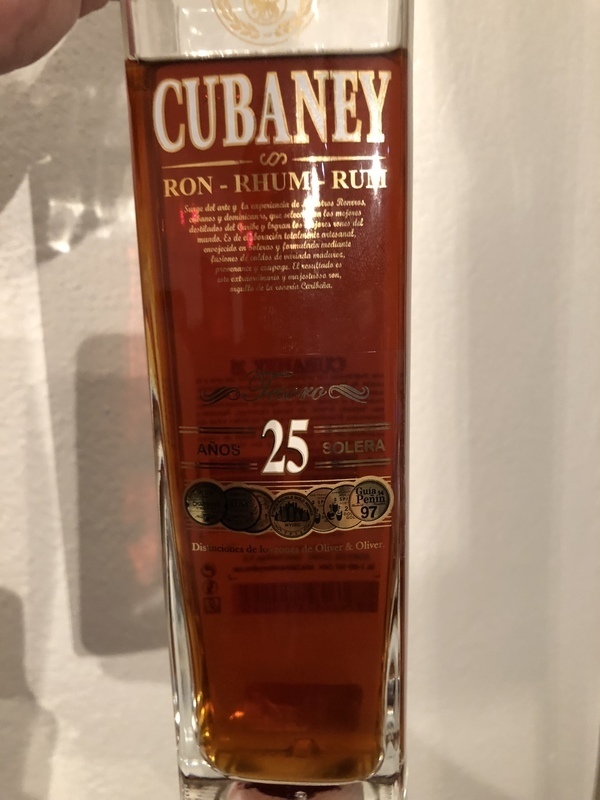 Cubaney 25y was enjoyed while vacationing in Germany. Nearly impossible to find in the US. Unique square bottle design but very cheap label and a flimsy box. Amber color. Could use a tad more sweetness. Great flavors come in and go out very quickly. Surprising how short this rum is. Cubaney 18y is better than both 21y and 25y which is a bit of a surprise to me. In mouth you get some oak with vanilla and some chocolate. You also get some spice. The aftertaste is very smooth with sweet flavours and some spice. A good sipper and not so far away from the big brother Cubaney Centenario 25-30 Year which is one of my favourites. In der Nase, warmes Karamell mit delikaten Röstaromen auf einem Vanillebrötchen. Sehr dezentes, etwas rauchiges Fass im Hintergrund. Im Gaumen eine Achterbahn, zuerst zart-bitter Schokolade mit Karamell-Füllung die die Zunge umschmeichelt. Dann nimmt eine alkoholische Schärfe überhand, sehr pfefferig und beissend und dennoch zuckersüss. Im Abgang klingt die Schärfe nach und hinterlässt eine angenehme Karamell Süsse. Irgendwie liegt mir die Cubaney Linie nicht so, da gibt's bessere aus dem Hause O&O. Beautiful saturated dark amber in the glass. In the nose, warm caramel with delicate roast aromas on a vanilla bread. Very subtle, slightly smoky barrel in the background. In the palate a roller coaster, first delicate-bitter chocolate with caramel filling that flatters the tongue. Then an alcoholic sharpness overpins, very peppery and biting, yet still sugar-sweet. In the finish, the sharpness linger and leaves behind a pleasant caramel sweetness. Somehow I do not like the Cubaney line, there's better from the house O & O. You know how sometimes you could have the hottest girl in the world with a smoking body but in bed she turns out to be a total bore; that sort of reminds me of this rum. It has a great nose and colour, the taste is smooth with a good ratio of sweetness but it just lacks that something that makes it an exceptional rum. There is not a lot of substance or complexity to it; but don't get me wrong, I wouldn't kick it out of bed. It's a classic rum, nothing interesting, it's ok all around but never buy this bottle. This was a powerful taster.. Great colour, great in the nose.. The taste is strong with oak but the oak fades quick and leaves you with something like coffee and chocolate.. And a long fading taste.. I had to try it with five minutes intervalls though.. After 15 minutes it tasted real good.. Then mostly of the ethanol taste and scent had left my glass..
God but not god enough at that priser. The smell promises more, but the taste dosent live up to that. Some ok, caramel and sweetness but it fades very rapid. This rum is awesome. It has a perfect balance of sweetness and spice. It has a strong complexity all the way to the exit. The exit of this rum is so smooth it will have you looking at the bottle to see what alcohol percentage it contains. (38%) virtually no burn at all and the balance of sweet and spice lingers in the exit. This rum was so good that I had another glass straight away and added an cube to it. This made it drink like a soft drink. This rum is one not to mix. If at most just add an ice cube. caramel, oak and a lot of vanilla. Vanilla taste, good price range - strong alcoholic taste in the beginning. smooth , old, a very classical stuff. no more to say about it. In my opiniom it’s good rum, barrel taste, but too expensive for what You got, i would rather buy new one instead of buying It one more time. Given the price, I would find better rums than this one. But overall, very nice taste, oak, a bit of chocolate. 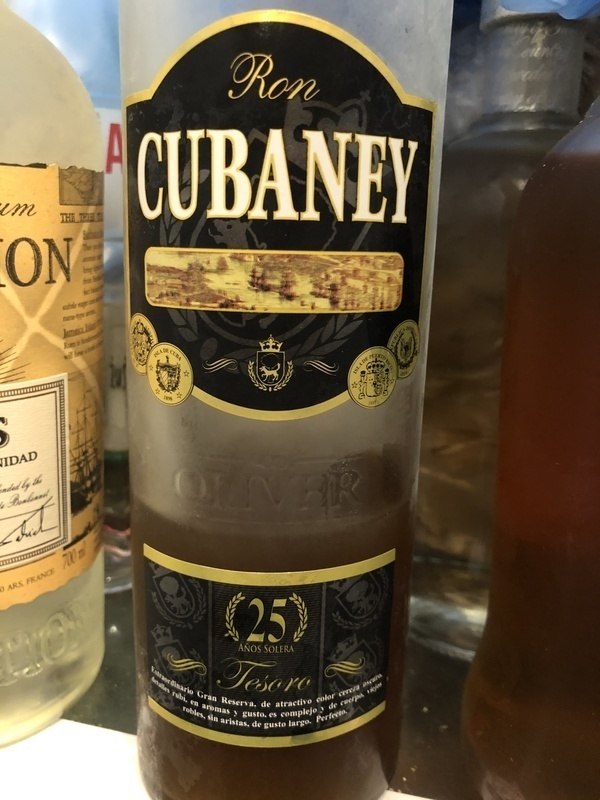 Der Cubaney ist ein Süssrum - aber der unsüsseste den ich je hatte. Der Rum ist angenehm mild und schmeckt nach dunkler Schokolade mit sehr feinen Holznoten und dezenter Würze. Ein sehr gelungener uns harmonischer Rum, definitiv ein Versuch wert. I liked this rum with a smooth nose, light-brown color. Delightful in the mouth and a pleasant throat with a cherry flavour and a decent afterburn. Also there is a hint of cocoa or something like bitter chocolate once the rum touches your tongue for the first time. Not the best from Oliver & Oliver, go for the Exqusito serie in the same price range. This one lacks a bit of taste and depth and aftertaste. The more I taste, the more dissapointed I get. Overpriced. From Oliver and Oliver one of the best. A good rum to be included in my "active collection".